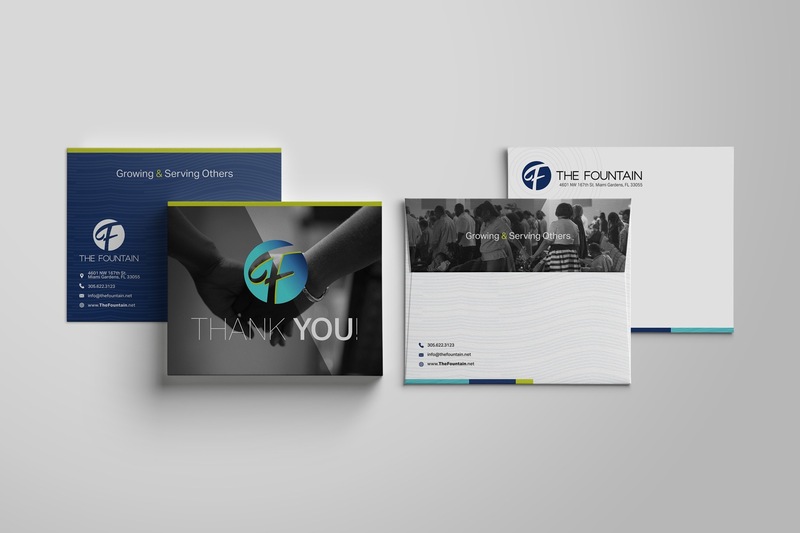 The Fountain (Miami Gardens, FL) needed a rebrand to support their recent growth, and galvanize their mission to be the most visible and accessible church in south Florida. They had a very specific request for a script font and circle "F" layout for their main mark. 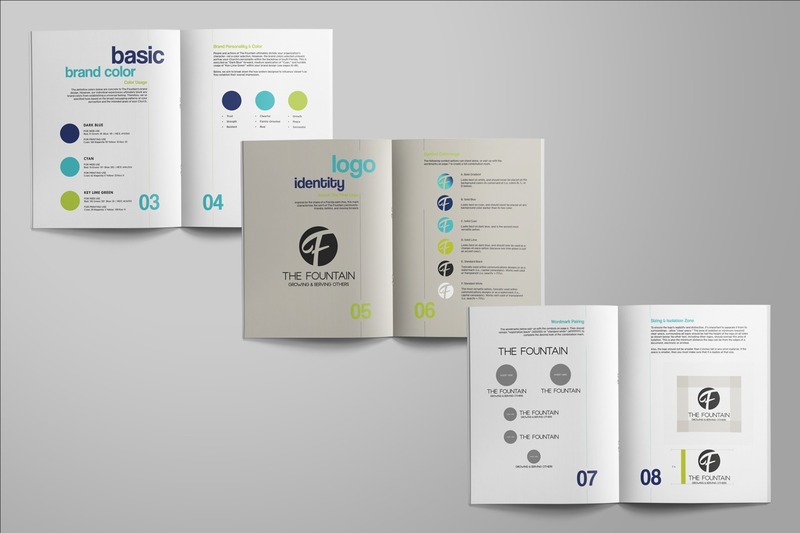 Around their specs, organizational culture, mission, and vision, we created a full church brand identity system. 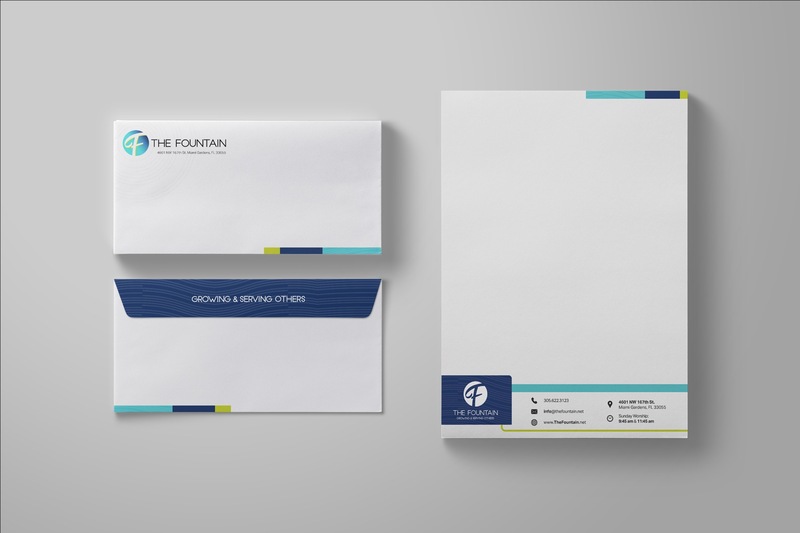 Inspired by the shape of a Florida palm tree, we crafted their combination mark to characterizes the spirit of The Fountain community- friendly, faithful, and moving forward. 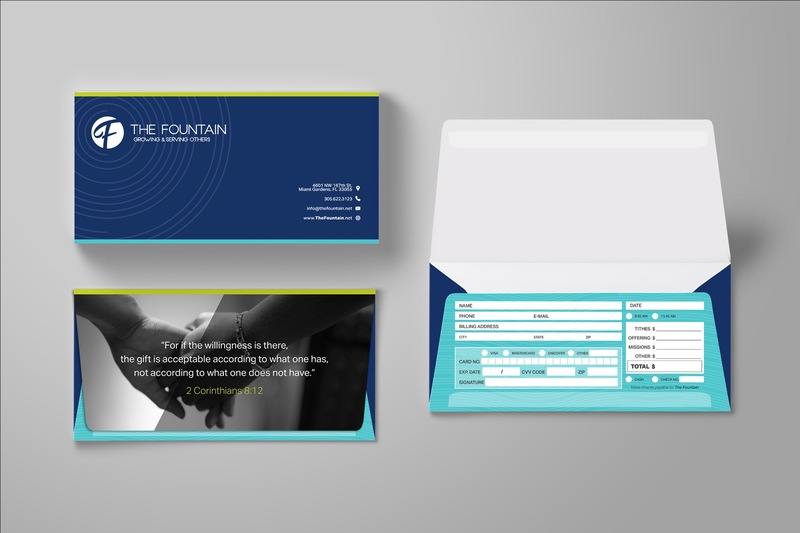 We also translated “fountain” metaphor and “growing” mission into a Dark Blue, Cyan, & Key Lime Green hue system for an energetic Florida vibe. Also, all stylistic shapes and textures were designed to reinforce their combination mark and broaden design possibilities for future communications deliverables. View church logo images, style guide, and branding strategy we established for a small contemporary church located in Dallas, TX. 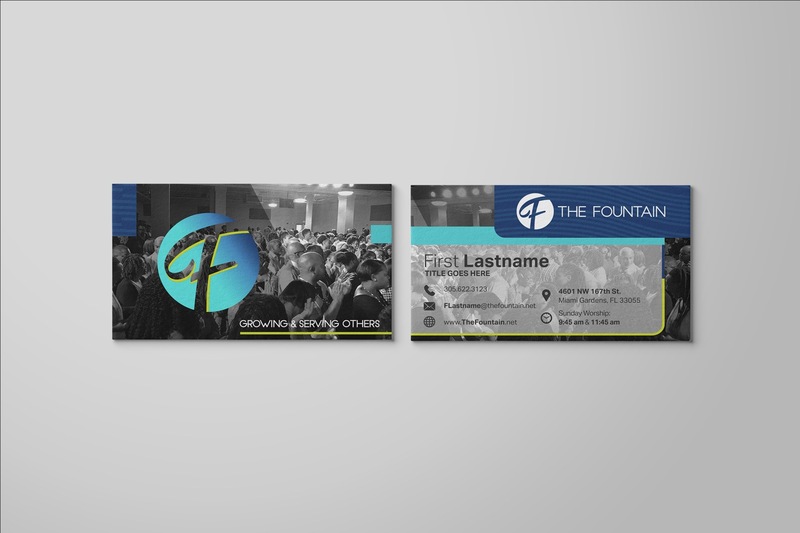 View church brand identity system we crafted for a growing community church located in our hometown- Lincoln, Nebraska (church logo images & examples). 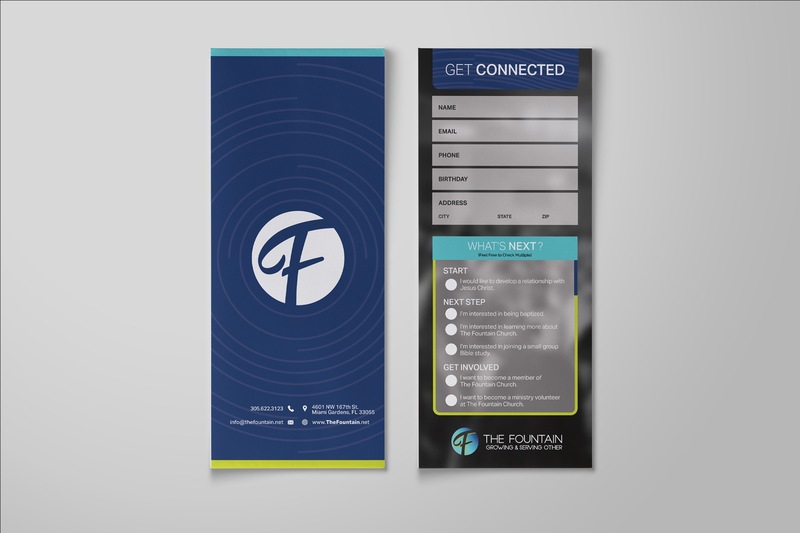 Your church branding strategy should encompass efforts to build the reputation of your organization. Read this to learn how.